Lucid Bolt delivers a rare high that’s both relaxing and mentally clear. If you’d like to kick back without losing your mental edge, Lucid Bolt is the perfect choice. Looking to get totally wasted? How ‘bout ultra-wrecked? MK-Ultra Wreck’ll get you there! With outrageous power and killer effects, MK-Ultra Wreck is the new top dog of the cannabis pack! Magic Bud is the finest blend of Indica and Sativa. 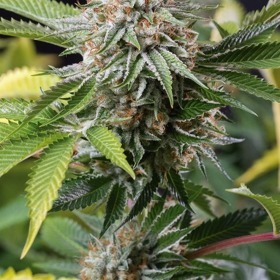 This plant of fine stature produces beautiful resin coated nugs in a relatively short time, approximately 56 days indoors. Packin' Heat in More Ways than 1! Mango Chutney brings the heat with a full 23% THC & delectable fire-infused fruit flavour. This is one Sativa you will never forget! Tropical Flavours with 23% THC! Mango Sapphire tastes & looks as good as she sounds, and she backs those traits up with a whopping 23% THC & 85% Indica-dominant genetics. This one's a real powerhouse! 48 to 53 Day Finishes - Very Fast! Get ready for liftoff! 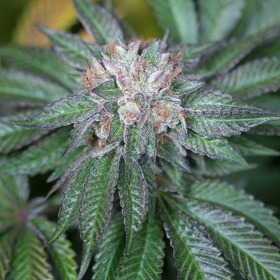 Martian Kush Feminized has enough power to launch you into outer space! Martian Kush Feminized is a potent mix of Martian Mean Green and The OG #18, two amazing HTCC winners. So good some say it was created by aliens, Martian Mean Green is an outstanding choice with massive tops & incredible power. She's your new go-to bean! 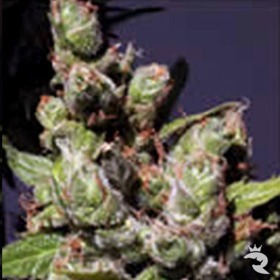 Get Couchlock with Mastadon Kush Feminized! For a double-Kush punch, go with Mastadon Kush Feminized. She practically explodes with fierce Indica power & mega-watt yields. Plus, the high resin levels push these babies straight into hash territory. They're awesome! 55 Days or Less with 24% THC! Master Kush is strong, fast and she's packed with seriously large, resin-coated buds that smell great and taste even better. The stones are almost all physical and very chill.